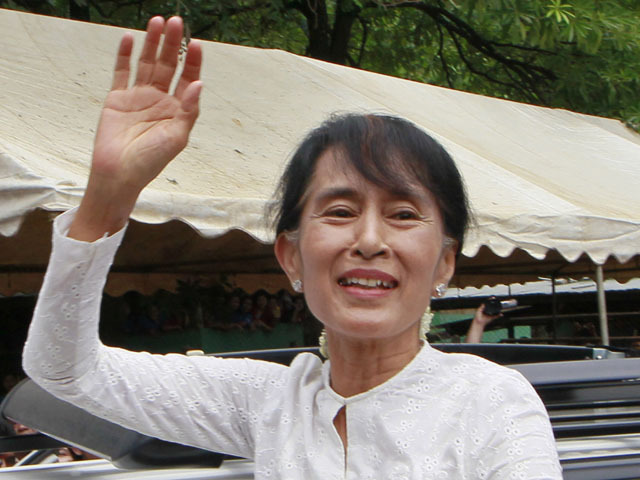 (AP) YANGON, Burma - Nobel laureate Aung San Suu Kyi completed her first trip out of Burma in 24 years on Sunday, a tour that highlighted her new freedom to explore the world -- and to return home. Suu Kyi smiled broadly as she walked through Yangon's airport, escorted by senior officials from her opposition party. She waved to passengers and told reporters that her six-day trip to neighboring Thailand was "very satisfactory." "It was very successful," she added, before getting into a waiting car. The longtime political prisoner's trip was viewed as proof of her confidence in Burma's (also known as Myanmar) new civilian government, whose political reforms contrast starkly with that of the former military junta. Suu Kyi, who spent 15 of the last two decades under house arrest, had previously refused to leave the country during brief periods of freedom for fear she would not be allowed to return. She used her trip to draw attention to the plight of her compatriots abroad -- from exploited migrant workers who moved to Thailand in search of jobs to war refugees who fled across the border in search of peace. Suu Kyi stole the spotlight at the World Economic Forum on East Asia, delivering her first speech before an international audience since becoming Burma's crusader for democracy in 1988. During her speech before international investors and diplomats, Suu Kyi cautioned against what she called "reckless optimism" in Burma's reform process. She said she trusted President Thein Sein's commitment to reforms but noted that the military is still a force "to be reckoned with." It was unclear to what extent her trip rankled Thein Sein, who was due to attend the forum but abruptly canceled when word leaked that Suu Kyi would also be there. Many speculated he did not wish to be upstaged by Suu Kyi. Thein Sein had rescheduled his first official Thailand visit for Monday and Tuesday, but then canceled without offering a reason or a new date, the Thai Foreign Ministry said. In mid-June Suu Kyi departs begins the next leg of her international travels with a five-country tour to Europe that includes stops in Geneva, Oslo, Dublin, London and Paris. Among the highlights are her trip to Norway where Suu Kyi will formally accept the Nobel Peace Prize she was awarded in 1991.